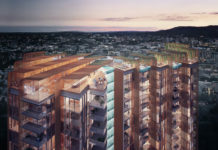 Developer, Kokoda Property, has received $120 million from one of the world’s biggest global investment firms to fund the construction of its Chester & Ella development in Newstead. 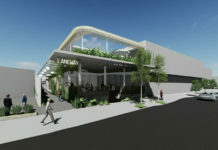 The deal is one of Brisbane’s largest non-bank funded deals secured over the past 12 months and Goldman Sachs’ first deal over $100 million in Brisbane. Since Chester & Ella’s staged launch mid-2016, the 320-apartment, twin-building development has proven a highly successful sales performer in the competitive market. Stage one, Chester, generated $95 million in sales, and stage two, Ella, generated $14 million in one transaction, and a further $22 million in sales over its launch weekend in November. With a seven-day concierge and five-star hotel style amenity, the project has been a top sales performer in every quarter, according to data advisory firm Place Advisory. 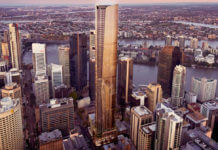 Goldman Sachs’ entry into residential and commercial property lending comes as APRA’s clampdown on the big four banks’ lending habits is reducing the ability of developers to move their projects forward. Kokoda Property’s director of capital and investment, Rick Impala, said the US Investment bank’s decision to partner with Kokoda was confirmation of its alignment with well credentialed local developers, with a proven track record of delivering exceptional projects. opportunities. However, there is no question that the level of due diligence, credit review and documentation performed by Goldman Sachs was as robust and thorough as compared to what would otherwise be exercised by a major bank,” said Impala. The funding speaks strongly to Goldman Sachs’ belief in the Brisbane market. 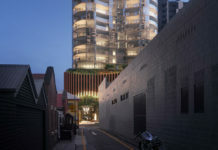 Kokoda Property is preparing to launch its third project in 18 months in the transforming city, with the investment firm expressing early interest to partner with the developer on future projects. Kokoda Property founder and managing director, Mark Stevens, believes strongly in Brisbane, with all indicators pointing towards the robust nature of the market. innovate allows us to move beyond them, “ said Stevens. 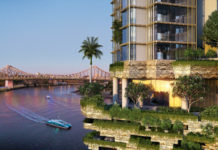 “International players are realising what astute developers in Australia already know – the property market in Brisbane is underrated, and it is the city to watch.  “There is currently over $40 billion worth of public and private infrastructure planned for Brisbane, including the $1.3 billion Brisbane Airport Second Runway, the $1.5 billion Metro Transport System, and the $3 billion Queens Wharf project, all of which marks an incredible transformation that will come to fruition in the next five to ten years. 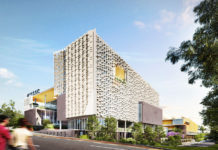 Kokoda’s extravagant $1 million Chester & Ella display showroom will close in the next week, with Hutchinson Builders, Australia’s largest privately-owned construction company, deploying on site to start construction. “The next few years will be critical to the buoyancy of the market, and we expect to see 2018 commence with a strong surge of sales to coincide with the 2018 Commonwealth Games,” said Stevens. Kokoda Property has recently acquired two new sites in Hawthorn East and Malvern, and now boasts a substantial portfolio of apartments with a combined approximate end value of $1.1 billion.